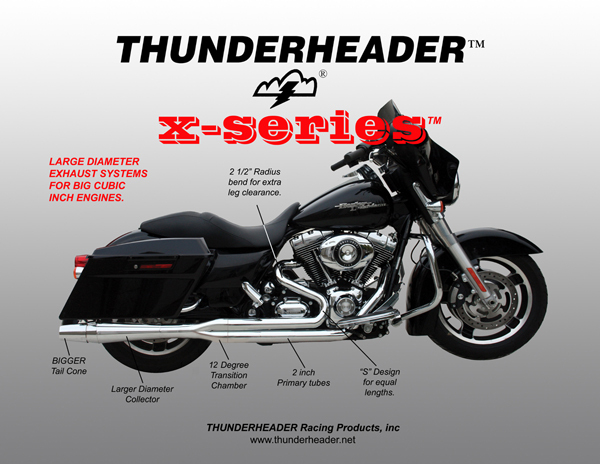 2-INTO-1 long style (right side only) for 1984-2016 FLH Models with Big Cubic Inch Engines. Recommended on 113 Cubic Inches and up. Increased horsepower & unmistakable THUNDERHEADER™ sound. 2 INTO 1 long style (right side only). Comes with 18mm & 12mm O2 Sensors.